We’re very happy to announce we’ve just launched the ability to sign in to Boords using your Google account! 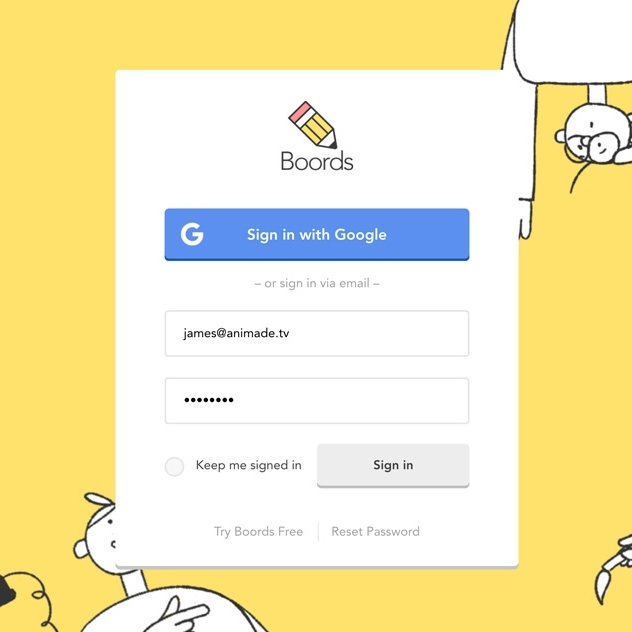 Whether you already have a Boords account or are signing up for a new one, it’s now even easier to sign in and start storyboarding. Find out more about this feature over in our help centre.